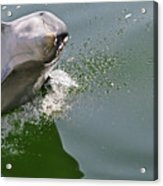 Dolphin At Play by Don McBride - 10.000" x 6.625"
Dolphin At Play framed print by Don McBride. Bring your print to life with hundreds of different frame and mat combinations. Our framed prints are assembled, packaged, and shipped by our expert framing staff and delivered "ready to hang" with pre-attached hanging wire, mounting hooks, and nails. There are no comments for Dolphin At Play. Click here to post the first comment. 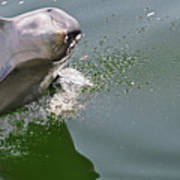 While on a sightseeing cruise in Tampa Bay, we got up close and personal with some dolphins. After nearly 40 years in the newspaper business, I retired in 2009 to spend some quality time in my hammock. I've always been interested in photography -- though I was a writer and computer geek by trade -- and it now occupies a big part of my life. Many of the photos I post are taken on the small lake behind my house in Florida. It's within easy walking distance of the hammock.